A chilling collection of psychological suspense and literary horror from the multiple award-winning author of the national best seller The Cabin at the End of the World and A Head Full of Ghosts. 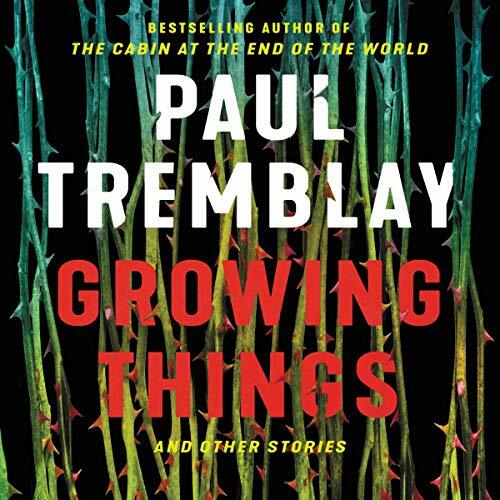 A masterful anthology featuring 19 pieces of short fiction, Growing Things and Other Stories is an exciting glimpse into Paul Tremblay’s fantastically fertile imagination. In “The Teacher”, a Bram Stoker Award nominee for best short story, a student is forced to watch a disturbing video that will haunt and torment her and her classmates’ lives. Four men rob a pawn shop at gunpoint only to vanish, one by one, as they speed away from the crime scene in “The Getaway”. In “Swim Wants to Know If It’s as Bad as Swim Thinks”, a meth addict kidnaps her daughter from her estranged mother as their town is terrorized by a giant monster...or not. Joining these haunting works are stories linked to Tremblay’s previous novels. The tour de force metafictional novella Notes from the Dog Walkers deconstructs horror and publishing, possibly bringing in a character from A Head Full of Ghosts, all while serving as a prequel to Disappearance at Devil’s Rock. “The Thirteenth Temple” follows another character from A Head Full of Ghosts - Merry, who has published a tell-all memoir written years after the events of the novel. And the title story, “Growing Things”, a shivery tale loosely shared between the sisters in A Head Full of Ghosts, is told here in full. From global catastrophe to the demons inside our heads, Tremblay illuminates our primal fears and darkest dreams in startlingly original fiction that leaves us unmoored. As he lowers the sky and yanks the ground from beneath our feet, we are compelled to contemplate the darkness inside our own hearts and minds.